Each of the Hebrew Months has a link below. To see all of the Tzadikim (Righteous Men or Women) for a given month click on the link for that month. or if this information is not available the days of Erev Rosh Chodesh, Rosh Chodesh, and the 15th day of the Hebrew months can be utilized for a connection. 2. Light a 25 hour candle in his or her honor. There is no specific Blessing. Some say the following. This candle is being lit In the merit of ______________. Others say the following: It is the custom within Klal Yisroel to light a Yartzeit candle on the day that a relative or a Tzadik has passed away. The lighting has no accompanying blessing, and people would like to express themselves in a Tefillah when lighting the candle. This is not only true on a Yartzeit but whenever Yom Tov comes as well. The author of the Peleh Yoetz, Rabbi Eliezer Papo (1785–1828), did in fact compose such a prayer. Rav Papo was the Rabbi of the city of Selestria in Bulgaria. Bulgaria was a part of the Ottoman Empire at the time. The Tefillah of the Pelehe Yoetz is reproduced and translated below, as a public service. הריני מדליק נר זה למנוחת ולעילוי נשמת אבי / אמי מורתי ____ בן/בת ____ תפילה הנמצאת בספר אלף המגן מבעל הפלא יועץ על פרשת ויצא עמוד כ”ד יהי רצון מלפניך ה’ אלקינו ואלהי אבותינו, שתקבל ברחמים וברצון כל מעשה הטוב שאני עושה, בין במחשבה, בין בדיבור, בין במעשה ויהיה הכל לזכות ולמנוחת ולעילוי לנשמות עמך ישראל, ובפרט לנפש רוח ונשמה של אבי / אמי _____. יהי רצון שתהינה נפשותיהם צרורות בצרור החיים. Behold I am lighting this lamp for the resting and uplifting of the soul of my father / my mother, my teacher _______ the son / daughter of ______________ May it be Your will before you, Hashem our G-d and the G-d of our forefathers, that all my good deeds whether in thought, speech or action be done for a merit and a resting and an elevation of the souls of your nation Israel. It should be especially for the soul of my father / mother / teacher _____. May it be Your will that their souls be bound in the pebbles of life. 3. Learn about the person including History, Culture, Writings, and Teachings. 4. Study some of his teaching or writings. Why we connect to the Tzadikim? Above is a link to a you tube video created in anticipation of the Hilula of the Chabad Rebbe on 3rd of Tammuz. I am not a Chabadnik yet i do learn from many Tzadikim including the Chabad Rebbe. There is much wisdom about Tzadikim and the reason for mentioning their Names and studying their works as part of their Hilula. While the information presented is not complete it is a good start for your relationships with the Tzadikim. There are some Tzadikim that we do not know their particular Hilula (Death Anniversay). Click the Hidden Tzadikim Link for the list of their names. 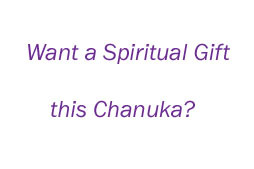 Erev Rosh Chodesh, Rosh Chodesh, and the Day of the Full Moon (15th day of each Hebrew Month) are good days to connect to these Tzadikim.